LOS ANGELES, CA / ACCESSWIRE / January 18, 2016 / Ali Mayar, CEO of Platinum Rapid Funding Group, is pleased to announce that he was recently featured in an interview on FiveHundo.com. As a spokesperson for Ali Mayar noted, FiveHundo shares interesting and though provoking interviews with executives--the only catch is that the interviews are 500 words or less. Ali Mayar is no stranger to being interviewed about his successful career as an entrepreneur. In addition to posting regular videos about his business and passion for travel and music on his website, AliMayarVideo.com, he was also featured in a recent interview for Inspirery. During the interview for FiveHundo.com, Ali Mayar discussed the best piece of advice that he has ever received. "In order to be successful, you need to surround yourself with the best possible team you can," Mayar said. "If you think you can run a successful company with nothing more than your idea plus bodies, you will fail very quickly." As for what he wishes he knew prior to starting Platinum Rapid Funding Group, Mayar said he would have liked to have known that the business would work and be successful. "I think one of the hardest parts about starting your own business is the uncertainty that looms around every corner," he said, adding that in order to push through and reach the success that entrepreneurs like him are looking for, there is no room for doubt within anyone's mind. "But with this said, there are times where you take risks, and how much easier would it be to take risks knowing the future? I've been fortunate, where many of my calculated risks have paid off, but I won't deny that it certainly would have been nice to know them ahead of time." Although Mayar loves his job very much, he said there are definitely plenty of things he enjoys doing when he is not in the office. At the top of this list, he noted, is spending time with his friends and family. While Mayar said he realizes this is a somewhat common answer, he said he has learned firsthand how crucial it is to take time away from work to be with the people who are important to him. "If you don't, you will burn out quickly and even potentially build walls around those you love," he said. Ali Mayar loves all things dealing with business. His interests also include music and the car industry. 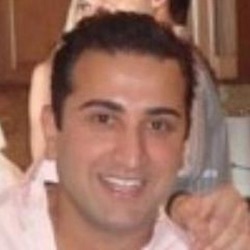 Please learn more about Mr. Mayar at: http://www.alimayarvideo.com/.